I Dream of African Prints… Nubian Hueman Provides | sondai living: Spirit. Art. Style. 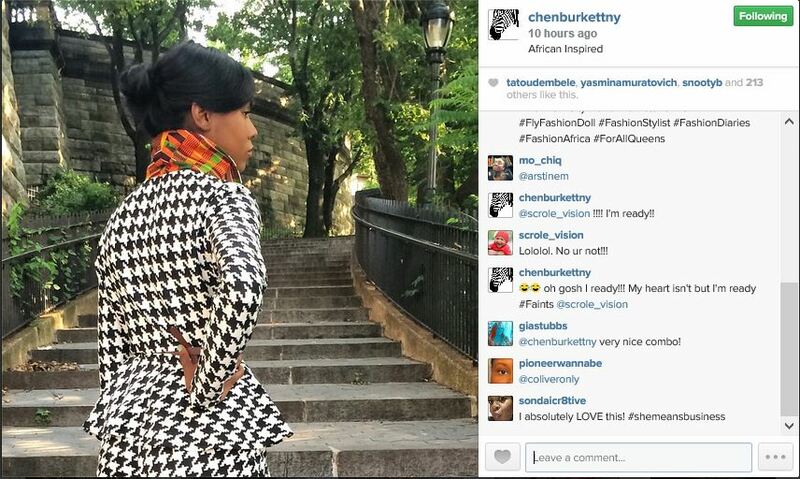 Nubian Hueman owner, Anika Hobbs says [Africa is] “in my spirit” and I can certainly agree with her sentiment. Just two years ago I was excited by the idea of injecting more African prints in classic American cuts into my wardrobe. I didn’t broadcast this idea to many. I would tell a few folks in passing. I even searched for fabrics and contacted a designer to start with a pair of pants. The history of African print fabric can be discussed in the context of imperialism and exploitation incorporating Indonesia, West Africa, China and Europe. “The fabrics are not really authentically African the way people think,” Shonibare has said. “They prove to have a crossbred cultural background quite of their own.”(Slate) However, while many prints are European made they are strongly associated to the continent and more specifically to West Africa. And as always WE as African people adopt it, own it, flip it and work it. Our ingenious selves are reflected in the beautiful finds that Hobbs comes across and shares with us through Nubian Hueman. My (albeit) late discovery of Nubian Hueman set my heart a flutter. All of these beautiful prints on everything from ties to bags to pants, tops and dresses. I had to leave the store… I had left my wallet in my purse with my friend and I had to get that. 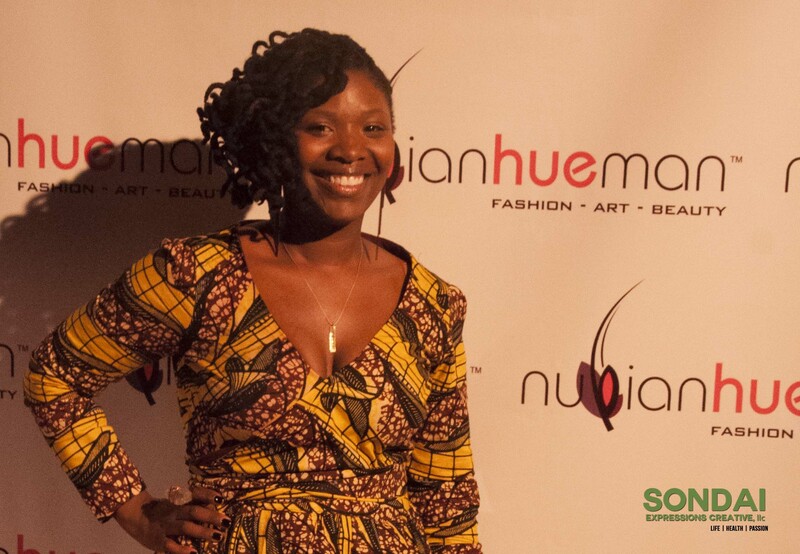 Saturday, September 27, Anika and the Nubian Hueman team celebrated the first year of the brick and mortar business at their Southeast, DC location. 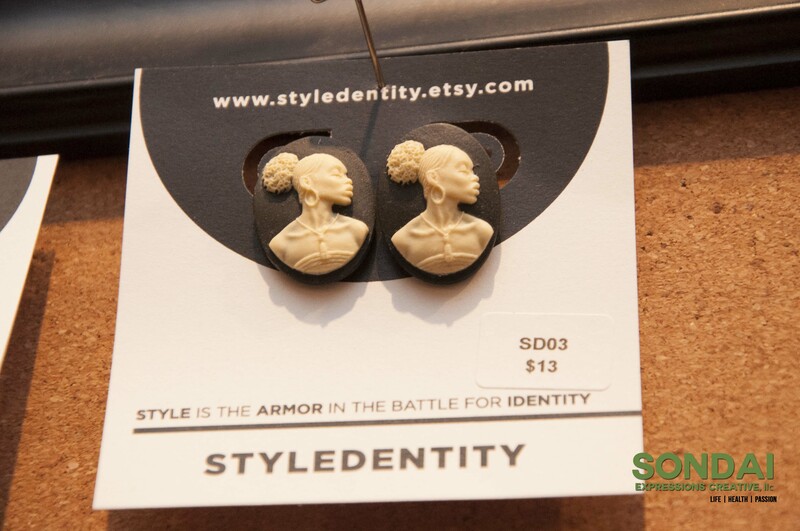 Started in 2011 as an online shop it has grown to host a “myriad of talented designers” and artists all under the roof of the Anacostia Arts Center. I have fallen in love on numerous occasions in this boutique, some of those loves have come home with me. But this past weekend, love is an understatement. I am not even sure where to begin. Whew!! I posted my adoration of these “teddys” as Myriam calls them and she confirmed yes I need to have one. I totally agree. What excites me is the traditional idea of the teddy bear with the nontraditional fabric. Classic meeting a different idea of classic. 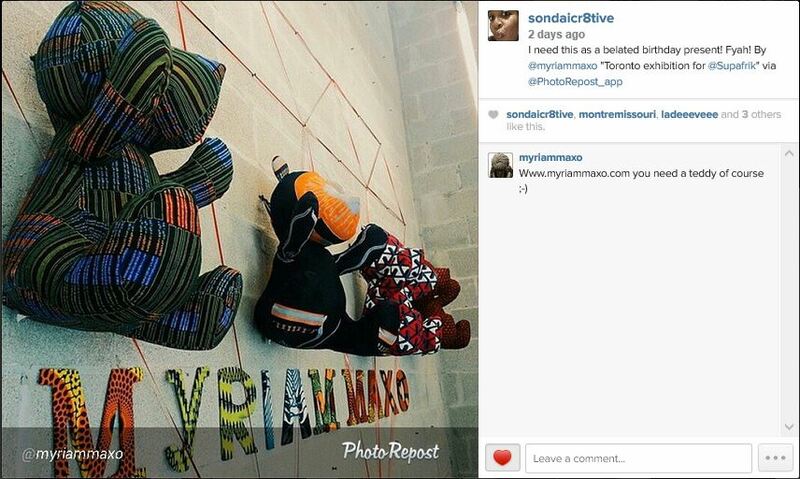 I believe Maxo’s “teddys” should be in the bedroom of every little brown girl growing up. As a big brown girl I surely want one in my home and whatever future children I have will have them as well. One of the reasons I walked out of the boutique during my first discovery of the fabulous Nubian Hueman was my wallet but the other reason was because I was overwhelmed. The kid in the candy store… YES that was me, hunty! I wanted everything. I am not sure if Anika noticed but I was in and out of her shop about 5 good times that night. This time around was a jaw dropping experience. I am a fan and love the clothes and style on “An African City” (which I hope returns). It is cosmopolitan, upscale, gorgeous and AFRICAN! Love it. The styles of Chen Burkett reminded me of the elegance and confidence of the designs on the show. These were must have wardrobe pieces. They were certainly regal and fitting of our shapes and curves. This is exactly what I was talking about when I said a whole closet of classic cuts with African inspirations. Amazed. Excited. Enthralled. I am a Nubian Hueman supporter and you should be too. Oh… I almost forgot… Belated birthday presents are accepted and these beauties… should be on my ears. Thanks in advance. Cheers to Anika Hobbs and the crew of Nubian Hueman. You truly are wearing that crown! 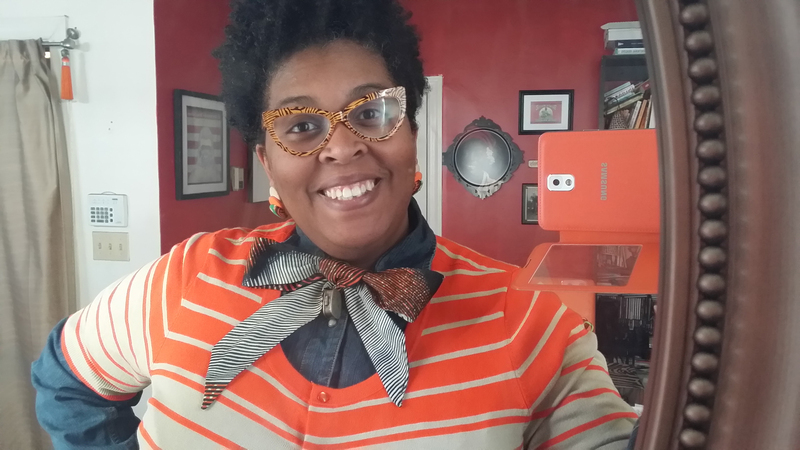 This entry was posted in Fashion, Style and tagged Chen Burkett, Myriam Maxo, Nubian Hueman, sondaiaesthetic, sondaistyle by kimberly c. gaines. Bookmark the permalink. Thank you so much for all of your support. Great post and pics! We truly appreciate you highlighting us.